Senso-Ji was a fascinating location to visit, full of worshippers. 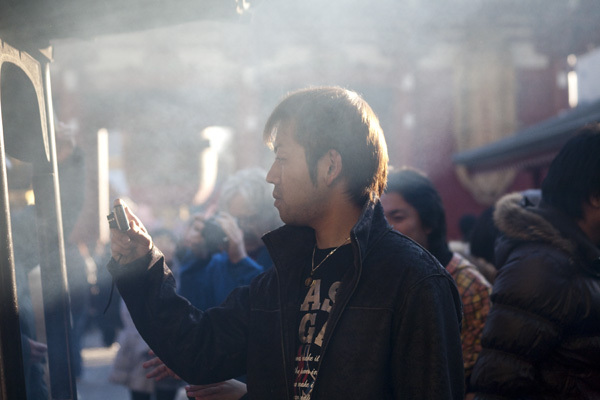 The combination of incense smoke and low level light a perfect result. This person thought the same.